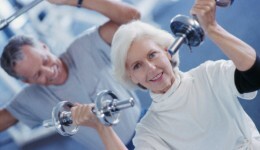 Home / Articles tagged with "healthy aging"
Articles for Tag: "healthy aging"
5.1 million Americans have been diagnosed. A study reveals promise of an effective early predictor. Walking and jogging could be key to keeping the mind sharp as we grow older.